When I was young and heard saxophone players like Charlie Parker, Sonny Rollins, John Coltrane, Dexter Gordon, Cannonball Adderley, Johnny Griffin, Joe Henderson and Michael Brecker, I was astonished at their fluidity and range of technique. It sounded like magic. I wanted to have that same quickness and liquidity to my playing, but I didn’t know how to get there. In college, when I finally learned how to practice, going slowly and consistently was my method of choice. Fundamentals are the building blocks of musicianship, and technique is a byproduct of working on fundamentals. Scales and arpeggios make up the backbone of harmony, which is an essential area of study. By practicing slowly and consistently, you literally set up pathways in your brain that are like paths on a hiking trail; it’s easy to get through once the groove is there. It’s called muscle memory. Brushing your teeth or tying your shoelaces was a challenge when you were first learning; now, you’re a master! In regards to working on a solo piece, etude, school band music, etc., it’s important to apply the same concept of practicing slowly and consistently. Isolate your problem areas; slow down the tempo, so you can play consistently correct, then work your way back up. You can also sing the rhythms out loud, then put the notes in. If you practice slowly and consistently, your technique will dramatically increase, and you and others will be amazed at how quickly you improve. I read somewhere once that “through repetition comes magic,” … so, OK, maybe there is a little magic in there somewhere too. See if you can find it. 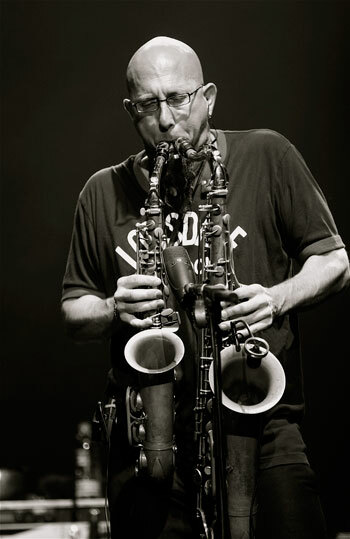 Jeff Coffin is the three-time Grammy Award winning saxophonist of Dave Mathews Band and Bela Fleck & the Flecktones. In addition, Jeff leads the Mu’tet. As a clinician, Jeff has presented worldwide in places from Farmington, Maine, to Perth, Australia. He is a Yamaha and Vandoren Performing Artist. Jeff recently released two new CDs: “‘Duet’ by Jeff Coffin & Jeff Sipe”(check iTunes and stores) and “Jeff Coffin & the Mu’tet—LIVE!” (at www.earuprecords.com). Visit Jeff’s website at www.jeffcoffin.com.